I'm 30, but that's not old. At least it didn't seem too old until today when I walked into my freshmen speaking class. As usual, I proceeded through the introductions of the course requirements, schedule, homework assignments, and textbook. Then it's time to introduce myself in more detail. I usually write 10 words about myself on the board and have students talk together to guess what each word means. (Examples: M'Lynn (is my wife); Nanchang (is my Chinese hometown); Basketball (is my favorite hobby); etc.) Included on this list is my age, 30. This year I began telling students my age by saying I was born in the year of the monkey. Then asking the students to tell me their year. This gives them a much better understanding of age without saying, "In America I'm 30, but in China I'm 31." 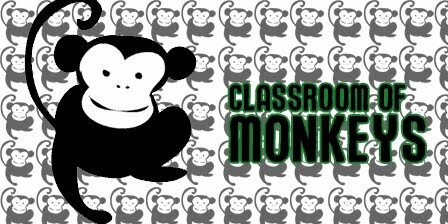 Surprise, a classroom full of monkeys, just like me!